To go forward with our life, we often have to leave something behind. 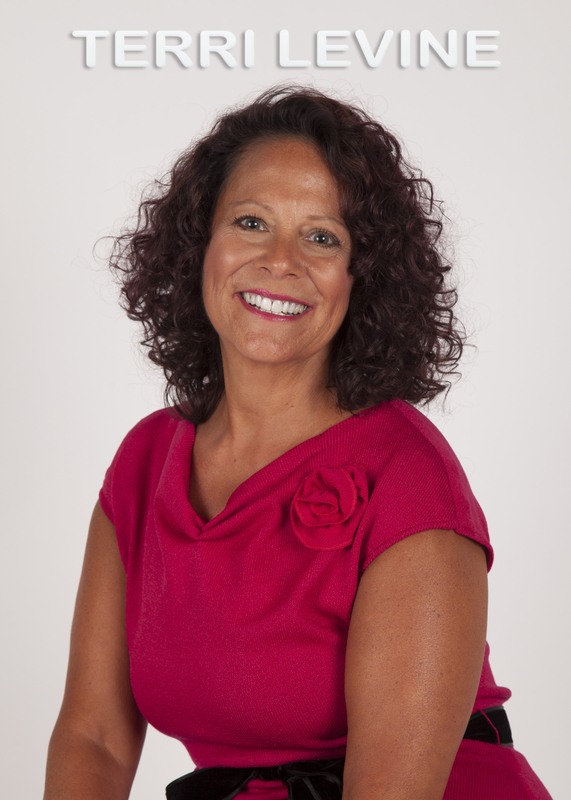 Marketing funnel strategist Michelle L. Evans is no stranger to that. She walked away from her global marketing strategy role at Microsoft in 2012 after a successful sixteen-year corporate career and traded it in for a fantastic community of business owners, creating a heart-based impact marketing. 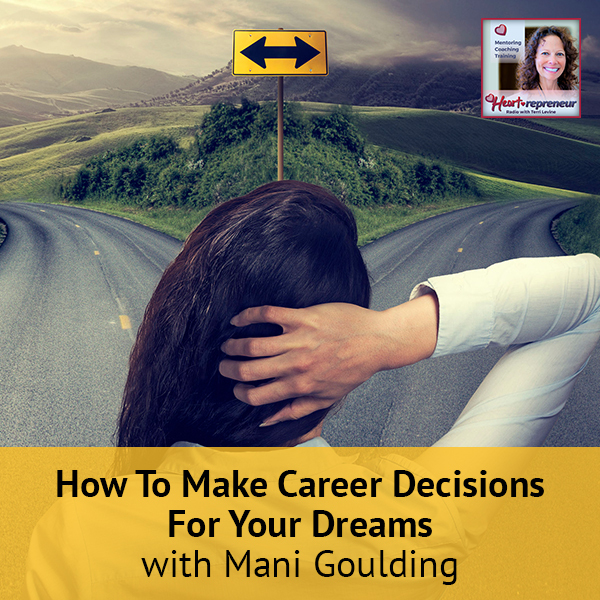 She shares her journey as well as the techniques she has come up with from that experience that she applied to her own business to get a steady flow of clients. 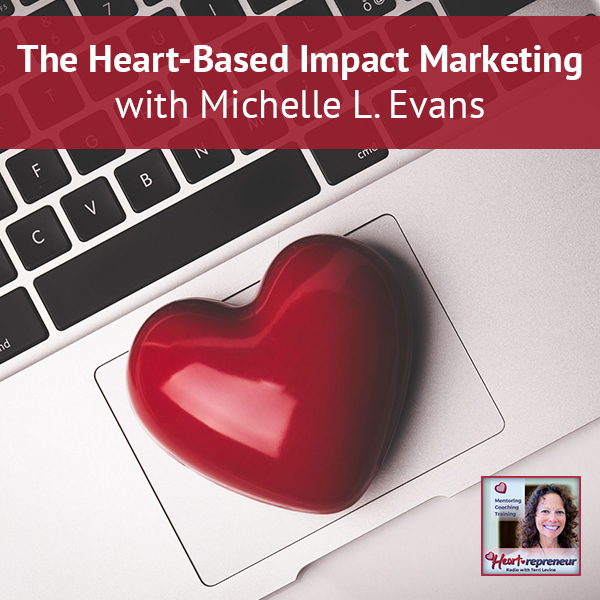 Michelle talks about the impact of joining masterminds, meeting people, creating a marketing funnel, doing sales calls, and finding a heart-based impact to marketing. We are with the fabulous Michelle Evans. Michelle is a genius at marketing. Michelle, welcome to our show. Why don’t you tell our heart-based business owners a little bit about yourself? Thanks for having me on, Sam. Genius, that’s a high bar you set for me. I read your bio. It said you worked at Microsoft. I did. I worked at Microsoft for a number of years and I left in January of 2012 to start my own business. As your readers know, starting your own business can be this huge roller coaster of emotions. It’s like, “Yes, I’m doing my own thing. Where’s my next client coming from? I got a client.” It can just be like that over and over again. I led global marketing initiatives there that had multi-million dollar budgets. I was like, “I have this marketing thing down,” but marketing myself and learning how to create a system to support my business so I didn’t have to market all the time was a whole different ballgame. I do think that is one of the biggest challenges. We spend so much time marketing and there’s only so many hours in the day. What are some of the techniques you’ve come up with using your experience in Corporate America at Microsoft and with your own business to get that steady flow of client? Having that steady flow of clients is so critical to being able to sleep well at night and to be able to have that heart-centered impact on the world that you feel called to have, at least for me. If I feel like, “I don’t know if I’m going to have enough money to pay my mortgage next month,” it’s hard to have an impact. When I first started out my business years ago, I listened to tons and tons of different people out there and I ended up doing what I like to call random acts of marketing. I would just go out and randomly do stuff. I’d randomly post on social media or I’d do a blog post, a guest blog post, a video or whatever. I was throwing all of these random acts of marketing out there, hoping something would stick. It’s like throwing spaghetti at the wall. Sometimes I would get this little burst of excitement, but nothing was having evergreen stickiness. I put together this super simple marketing funnel and I sent it out to my email list of people that I had been running around the country meeting all these events. Within three weeks, I was sold out. To me, it felt like a miracle. Here’s what got even better. I could use that same marketing funnel over and over again. In fact, I changed my branding otherwise I’d still be using it now years later. I still use the same fundamentals of it. I updated my branding and every single time that I rolled it out, I made at least $10,000 if not more. It was fantastic and it was the best way to get people ready to have a sales call with me. 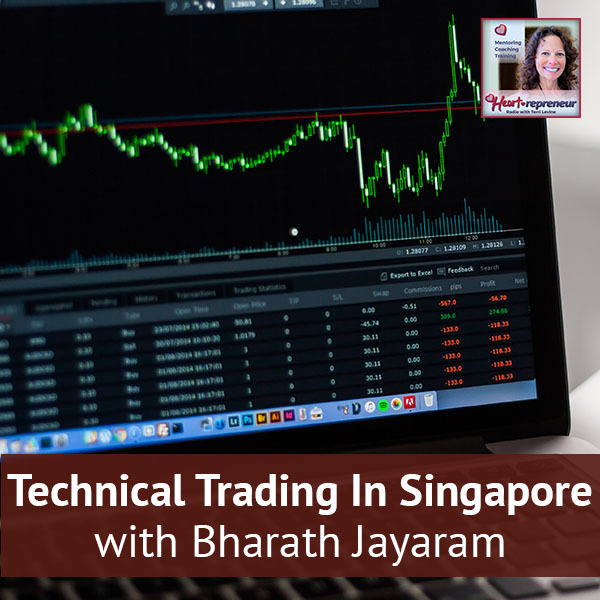 As you know, when we get on the phone and we try to sell something that’s not an easily tangible product or it’s not easily understood, you got to warm the clients up. 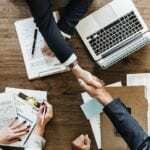 You got to help them understand three big things: why you, why this offer is right for what they want and why now is the time or why they can’t wait. Heart-Based Impact: If you can get a marketing funnel in place that really helps you warm up the right people, invite them in to get more information. I love this, “Why you, why this offer and why now?” That pretty much sums it up. One thing I’m a little curious about is you said that you wanted to make a heart-based impact. 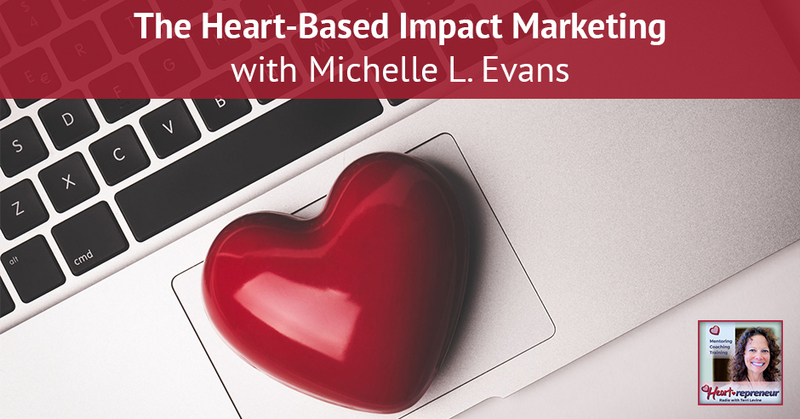 What got you from marketing to a heart-based impact? You can do marketing one of two ways. You can do churn and burn marketing where you’re going out there and you’re shoving stuff down people’s throats. There are people who do that. It definitely takes a certain personality and it also takes a lot of money because you’re not building a community, you’re just having transactions. That’s not the marketing I wanted to do. I wanted to do the marketing where I was becoming a strategic partner with my clients. I was helping people figure out this whole marketing thing because a lot of times when you say marketing to people, they back up. They throw up their hands. I always say, “You have everything you need to be good at marketing. It’s just that when you try to do random acts of marketing, it will never work.” It won’t work for anyone no matter how good they are. You have to have this engine behind the scenes. You have to have a system that you can connect with people where you can engage with them and where you can help them start to discover for themselves that you have something that they want and then give them the clear next step. For me, from a heart-based place, I wanted to show people number one, if you have eyes, ears, a computer, if you can ask questions and get feedback, you have everything you need to be good at marketing. People out there are telling you what they want, but we need to take our eyes off ourselves and put our eyes on the people we want to help and understand what is that impact that you can help them have. What is that big burning desire they have that you can easily map out a way for them to get it? Once you do that, marketing becomes easy. The first thing I learned from you is that there’s got to be a system behind the marketing. No randomness. The next thing is three questions. Why should they select you? Why is this offer right for them and why should they do it now? I do think there’s a little bit of procrastination and hesitancy in the now. A lot of people are brand new entrepreneurs. They’ve just stepped off the corporate merry go round. What’s one tip you would give them? How would they contact you and find out more about your super easy marketing system? I actually put together a quiz for entrepreneurs to find out which marketing funnel is right for you and your business. There are a bunch of different marketing funnels depending on what you’re trying to do and where you are in your business. The best thing that people could do is go to MichelleLEvans.com/Heart and it will take you right to the quiz. 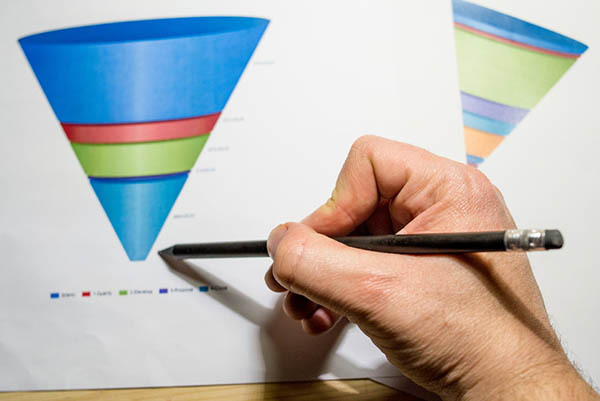 You can find out which marketing funnel is right for you. I even have the layout of how it works and some video training to help you get started right away plus a Swipe file. It’s easy. The one tip that I have for people, especially as they’re coming out of corporate and diving into this, is to figure out what makes you fascinating. My favorite quiz, I don’t know if you’ve ever taken this one, is HowToFascinate.com. It’s from Sally Hogshead and this quiz that she put together helps you understand what makes you fascinating to other people and what you should lead with in your marketing. I use it all the time with my people. I don’t know if I’ve concentrated on being fascinating, but you’re right. Celebrity status, those kinds of things are what makes some people a no brainer when it comes to marketing. The thing is, is that you don’t have to be like somebody else. What I discovered is that every single one of us has fascinating qualities right now. We just need to know what they are and unleash them. I think this is a good quiz for my kids as well, how to be fascinating. What would be the one tip that you would share with our audience to boost their business and give them the success level that you’ve had? The tip would be don’t get sucked into the big lie that you need to do all this hustle and these random acts of marketing. Find the place where you can make an impact, where you can connect, where your people are that you want to serve and then have a system behind the scenes where you can send them so that they can get to know more about you, about their situation, about what it is that they’re wanting. Thank you so much for being on the show. It was a pleasure talking to you. For our audience, definitely subscribe to this podcast so you get notifications as you fabulous entrepreneurs and Mompreneurs like Michelle are featured. Also, we appreciate your five-star reviews on iTunes and thank you so much for being with us, Michelle. Michelle L. Evans walked away from her global marketing strategy role at Microsoft in 2012 after a successful 16-year corporate career spanning many industries and now works with a fantastic community of business owners – coaches, consultants, experts, speakers, authors and solopreneurs – helping them go from simply surviving to predictably SOLD OUT. 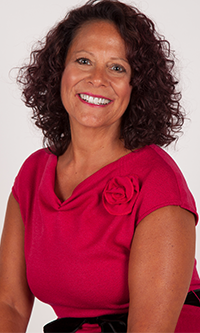 Using her 20+ years of successful marketing experience she helps her clients create income-producing, client-generating, stress-reducing marketing funnels. Michelle has been featured in Mirasee, Huffington Post, Online Marketing Made Easy and 30+ other places over the internet and worked with household names like Microsoft, LinkedIn and others as a well-paid employee and consultant. 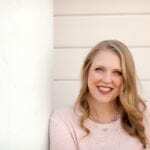 Check out her best tips on adventures in building a business as a mom of 3, marketing hacks and more at MichelleLEvans.com or tune in to her weekly podcast, The Marketing Funnel Show.